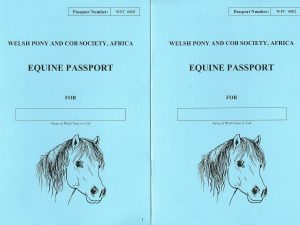 Recently we held a get-together of Welsh Pony and Cob enthusiasts in Namibia. This was especially notable because the President of the Mother Society, Elizabeth Russell of the Gartconnel Stud was visiting that country for a short holiday attached to her visit, the prime purpose being the judging of the Gold Medal Show at Tulbagh, 2018. This was hosted by one of the members, Hendrik and Sabine Derks of the Otjere Hoofbeats Stud on their Otjere game farm, about 150km from Windhoek, the capital of Namibia. As one can imagine, the weekend entailed hours and hours of discussion not only at the formal sessions but also over lunch and dinner. In addition we held a mock show where the participants homed their skills in interpreting the Breed Standards of the Welsh breeds, a practical demonstration and involvement in completing the Identification Documentation and viewing the many Welsh Ponies and Cobs on the farm and those the participants brought with them.